The south part of Georgian Acres, between Powell and 183, is over 96% rental, almost all in apartment complexes. Since the 2010 census, our planning areas have added a few handfuls of 1-2-unit housing, ~130 units of new multifamily at Lotus Village, and ~220 units of remodeled multifamily at Austin Suites. That is, the balance now is more weighted towards rental than in 2010 census data. According to the real estate market research CodeNEXT consultants EcoNW produced, average number of bedrooms is around 1.3-1.4, with average square footage of a one-bedroom unit 625-675. According to the census, almost 30% of the residents in this area are children. AISD‘s current intention is that Webb Primary would be dissolved into TA Brown when their new building opens, which they plan to be January 2020. 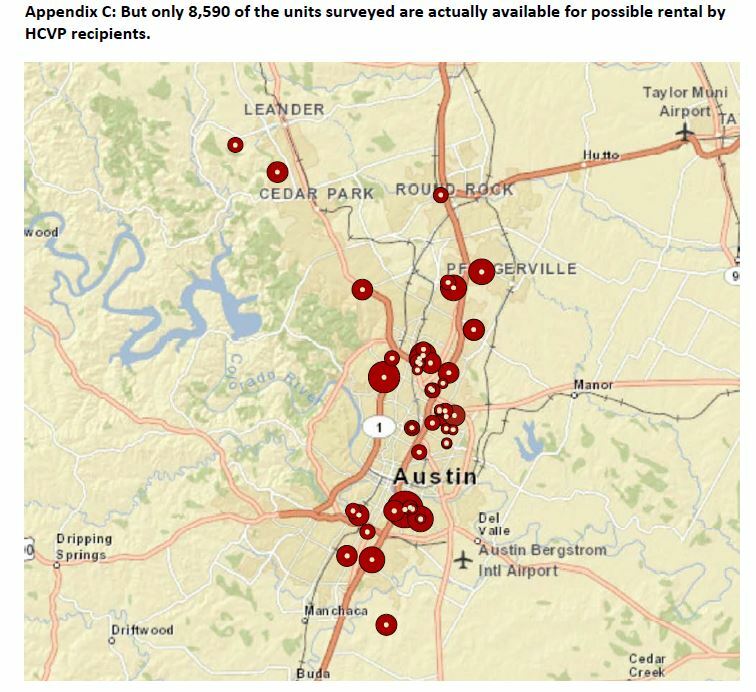 The median income for the census tract south of Powell is right at half of the median for the Austin MSA. That is, housing targeted to 60% MFI would be out of reach of most people here now, although not all, and not far out of reach.